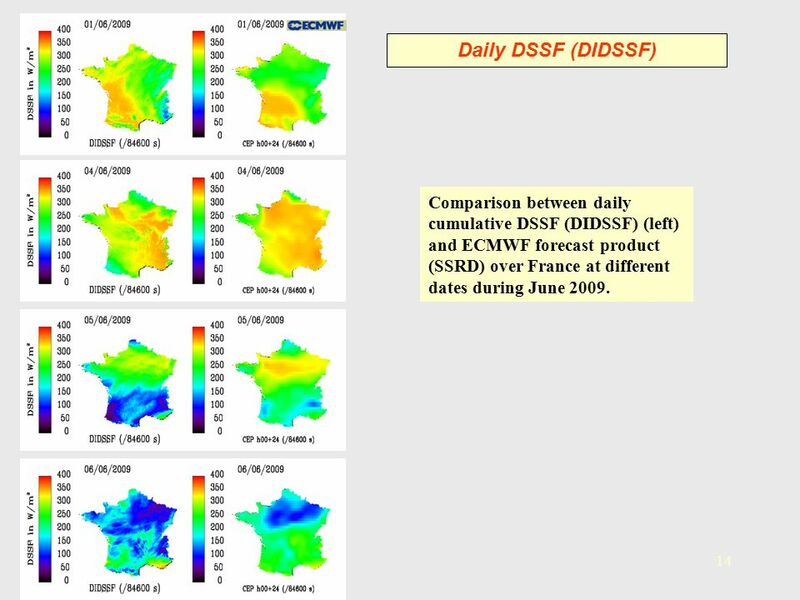 14 Daily DSSF (DIDSSF) Comparison between daily cumulative DSSF (DIDSSF) (left) and ECMWF forecast product (SSRD) over France at different dates during June 2009. 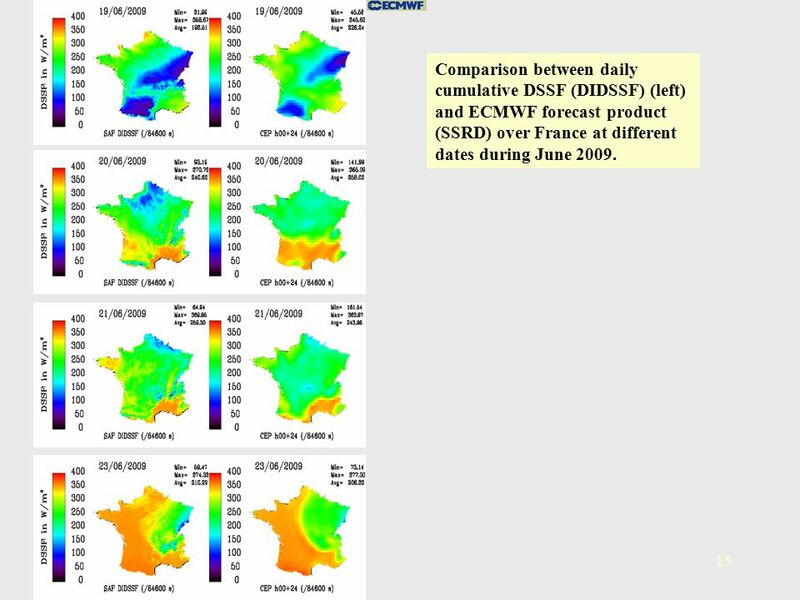 15 Comparison between daily cumulative DSSF (DIDSSF) (left) and ECMWF forecast product (SSRD) over France at different dates during June 2009. 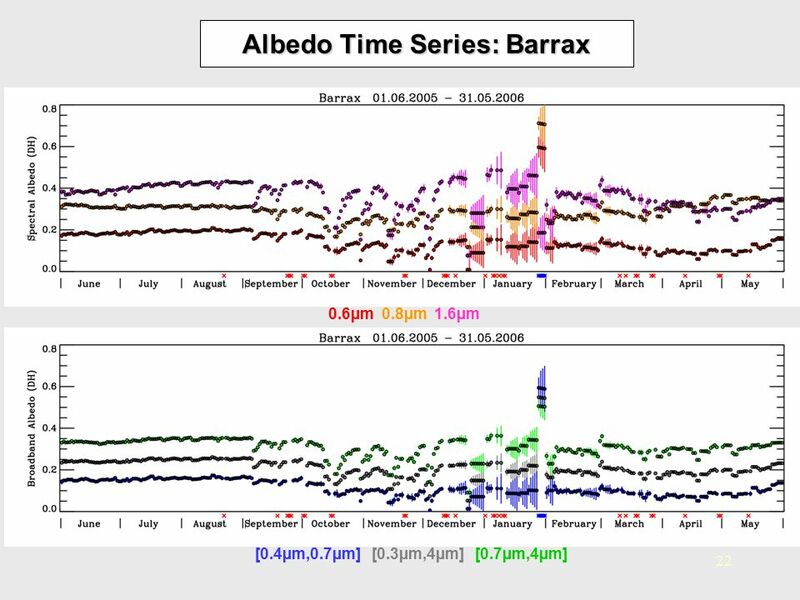 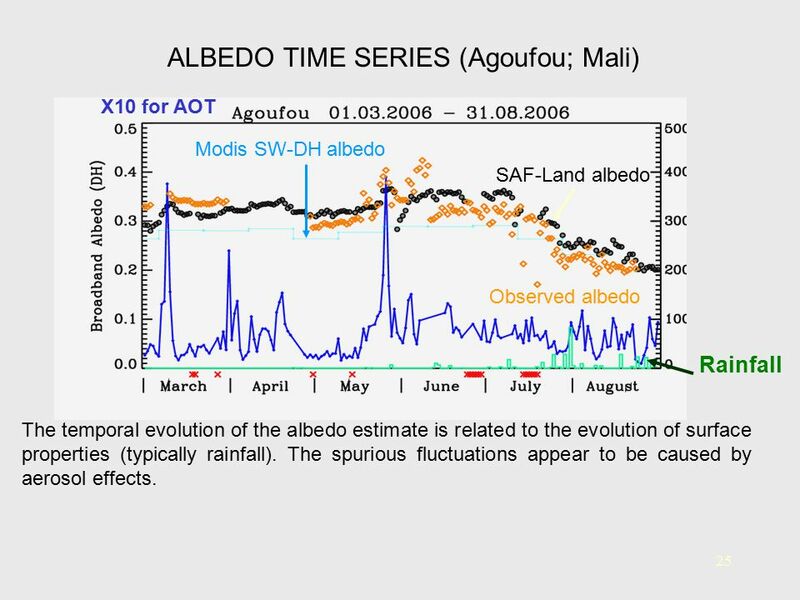 X10 for AOT Modis SW-DH albedo SAF-Land albedo Observed albedo Rainfall The temporal evolution of the albedo estimate is related to the evolution of surface properties (typically rainfall). 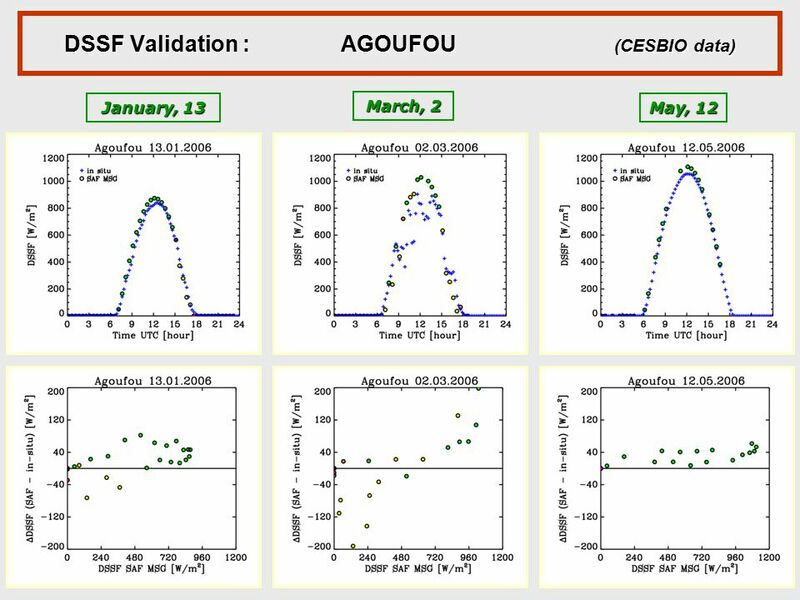 The spurious fluctuations appear to be caused by aerosol effects. 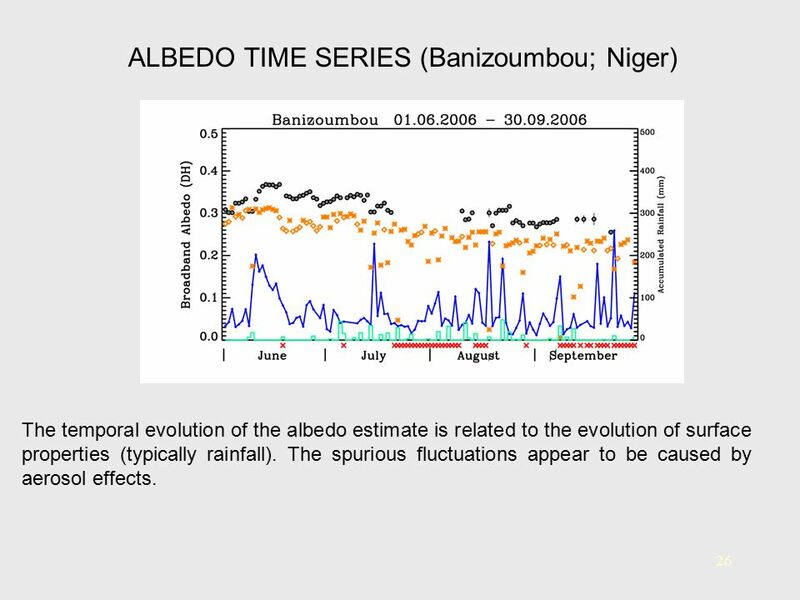 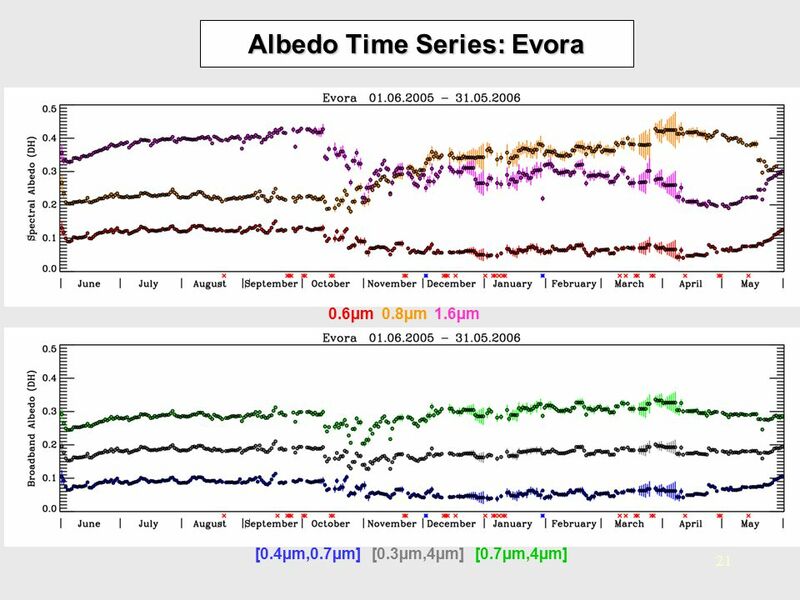 The temporal evolution of the albedo estimate is related to the evolution of surface properties (typically rainfall). 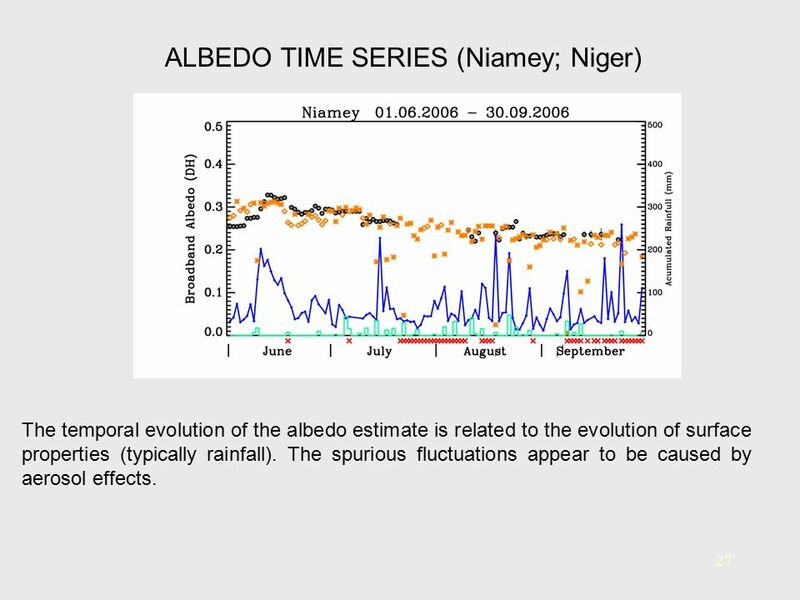 The spurious fluctuations appear to be caused by aerosol effects. 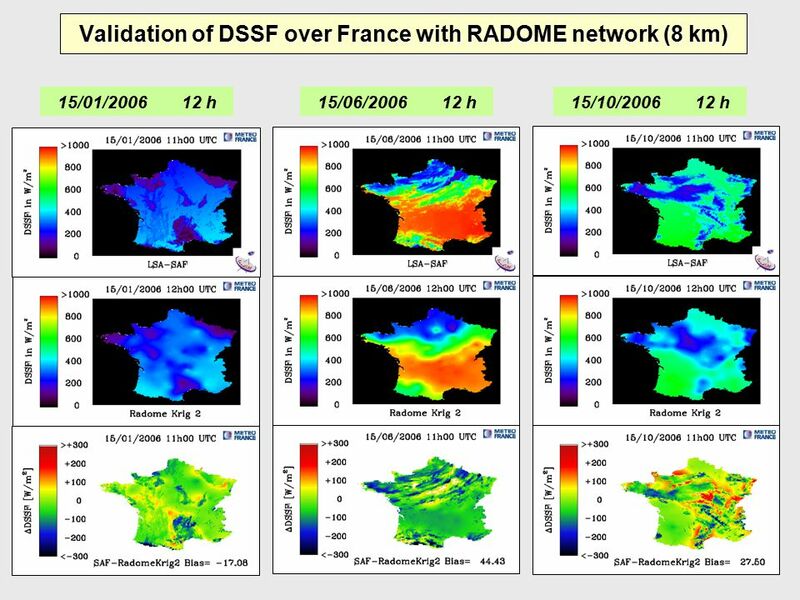 Download ppt "Jean-Louis Roujean CNRM / Météo-France"
Medium-range Ensemble Streamflow forecast over France F. Rousset-Regimbeau (1), J. Noilhan (2), G. Thirel (2), E. Martin (2) and F. Habets (3) 1 : Direction. 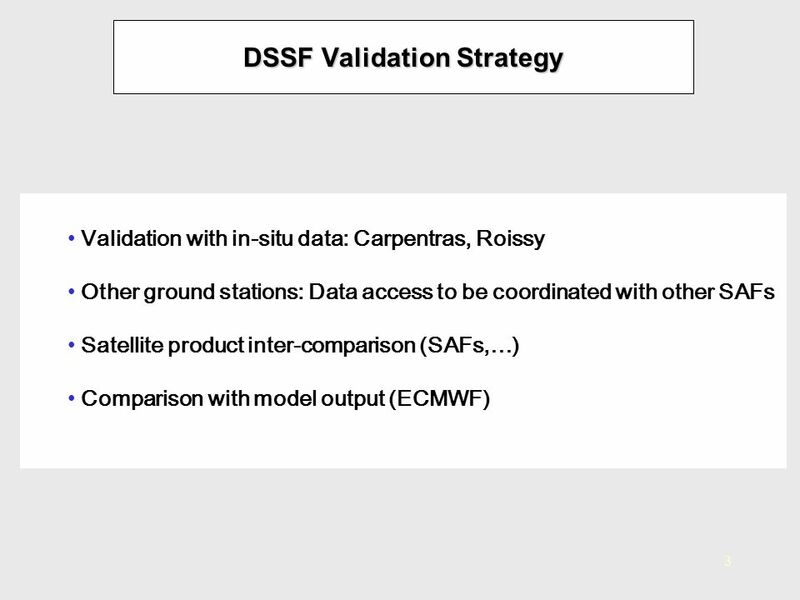 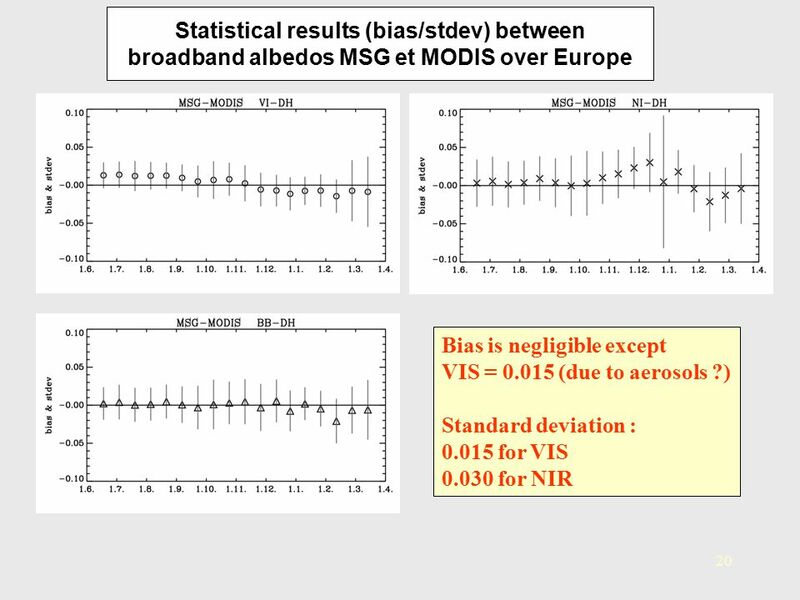 GEMS-Aerosol WP_AER_4: Evaluation of the model and analysis Lead Partners: NUIG & CNRS-LOA Partners: DWD, RMIB, MPI-M, CEA- IPSL-LSCE,ECMWF, DLR (at no. 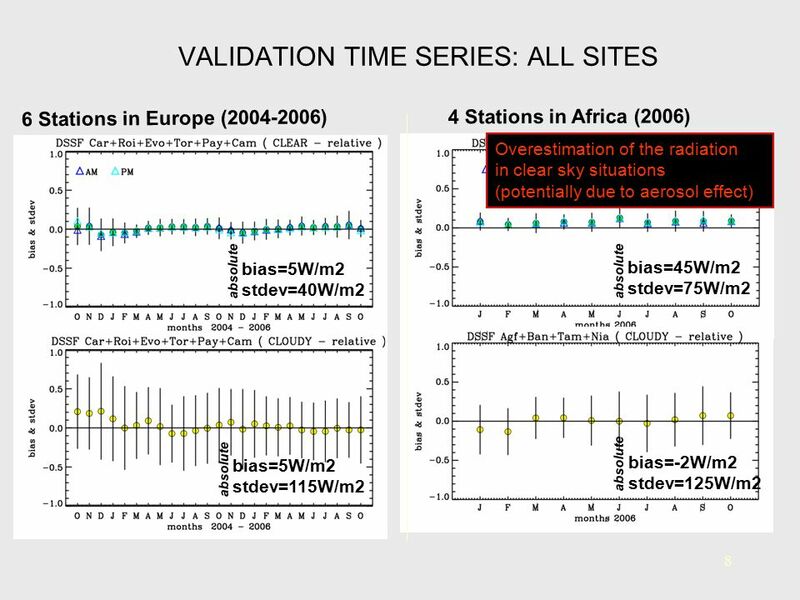 EUMETSAT 2006 Helsinki Exploitation of GERB/SEVIRI data for evaluation of the Met Office global forecast model Richard Allan, Tony Slingo Environmental. 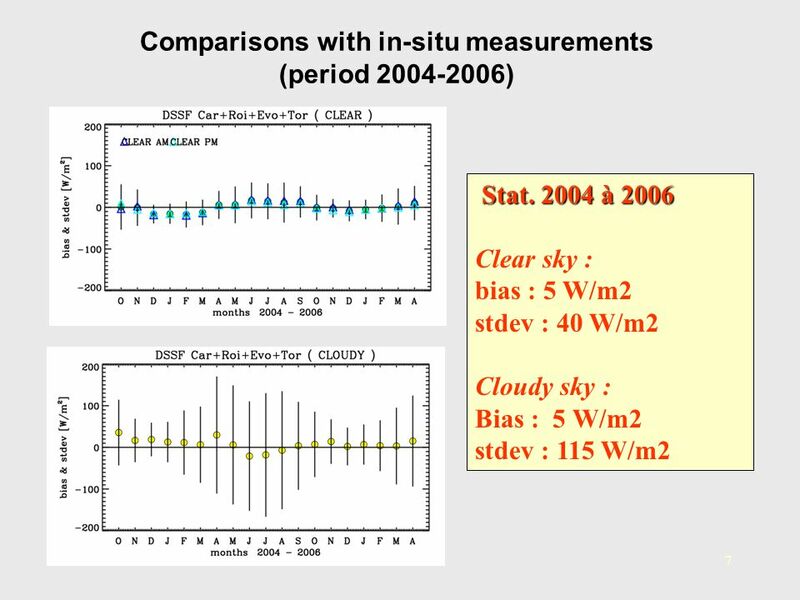 GERB/CERES Meeting 2006 Exeter Evaluation of clouds and radiation in the Met Office global forecast model using GERB/SEVIRI data Richard Allan, Tony Slingo. 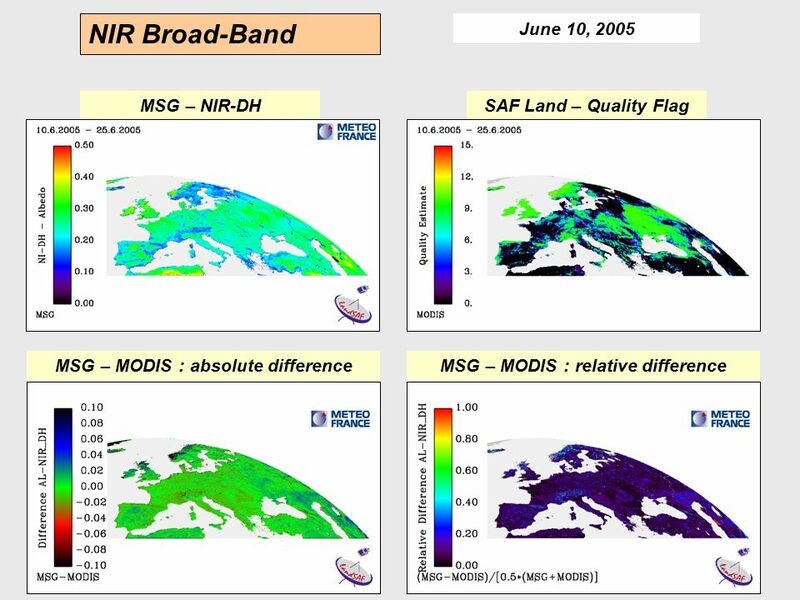 GLC 2000 ‘Final Results’ Workshop (JRC-Ispra, 24 ~ 26 March, 2003) GLC 2000 ‘Final Results’ Workshop (JRC-Ispra, 24 ~ 26 March, 2003) LAND COVER MAP OF. 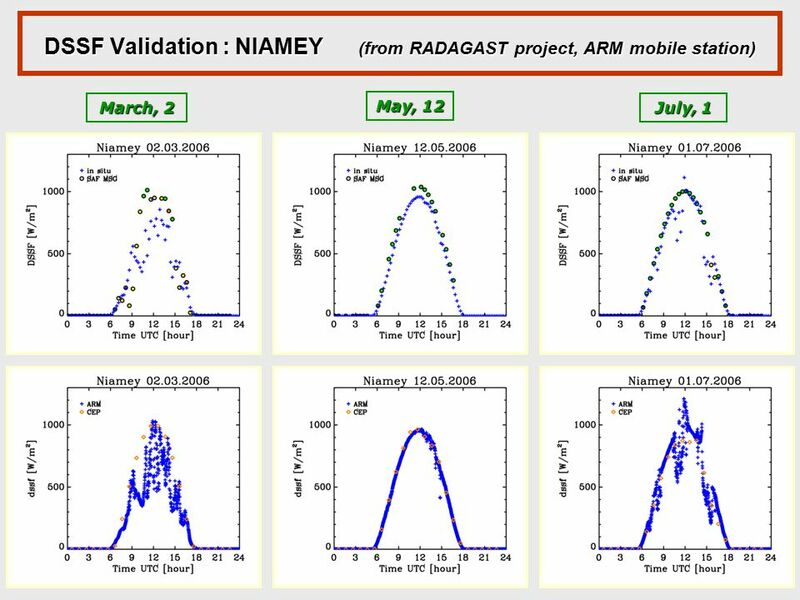 Xiaolei Niu and R. T. Pinker Department of Atmospheric and Oceanic Science, University of Maryland, College Park, Maryland Radiative Flux Estimates from. 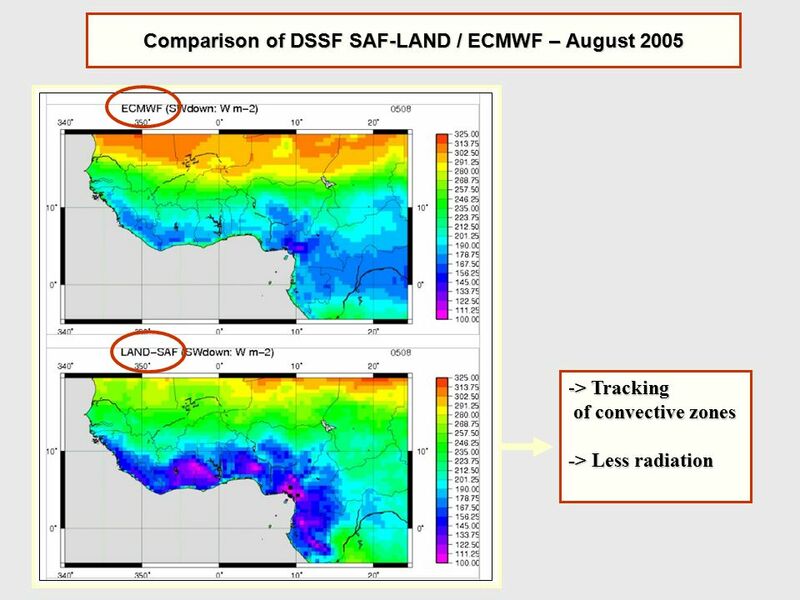 GIST 24/10/06 Jeff Settle, ESSC Reconciling Point and Area Data for RADAGAST GIST 24 October 2006. 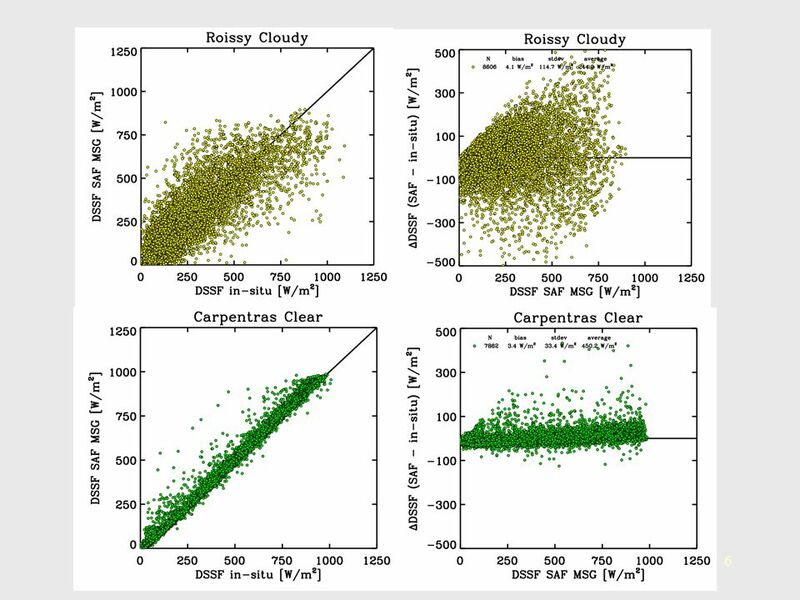 3D Radiative Transfer in Cloudy Atmospheres: Diffusion Approximation and Monte Carlo Simulation for Thermal Emission K. N. Liou, Y. Chen, and Y. Gu Department. 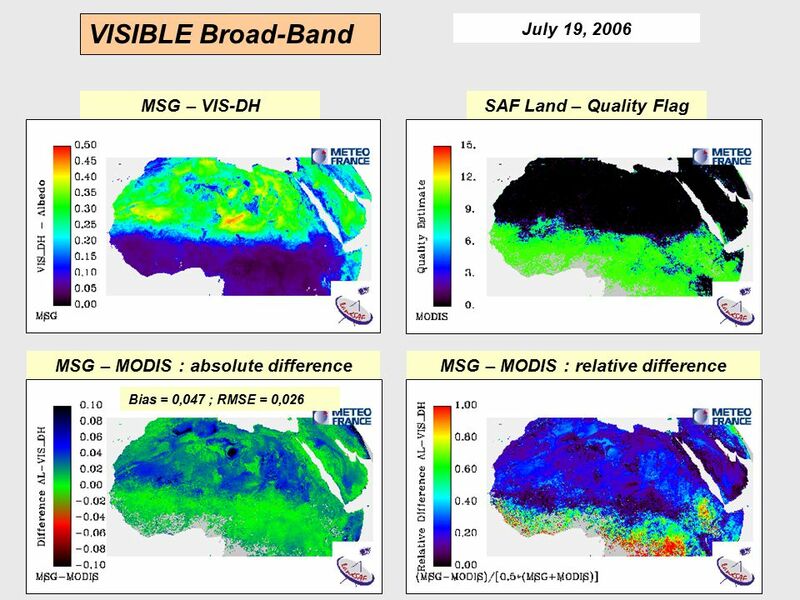 ISCCP/GISS ISCCP/UMD UMD/MODIS July 2001 Zonal Mean all-sky surface SW down W/m 2 ) Figure 1. 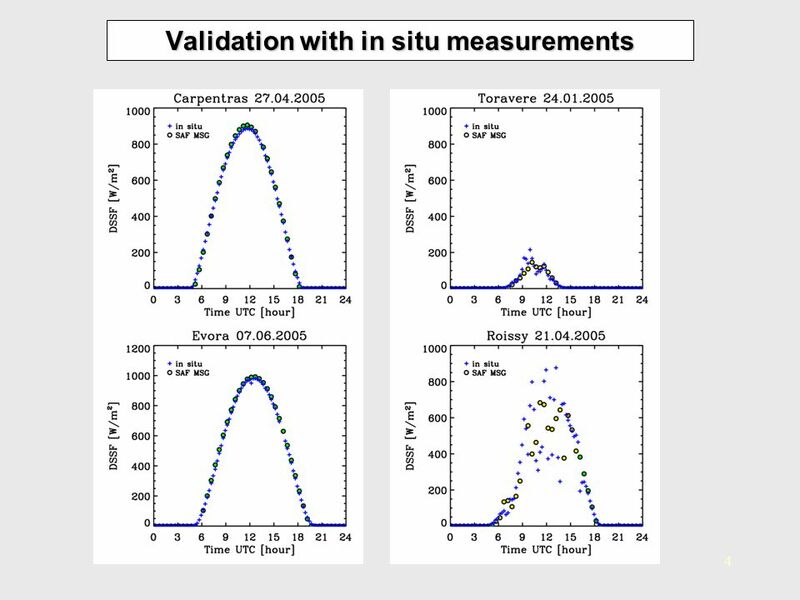 Surface Skin/Air Temperature and LW Flux Calculation Y-C. Zhang and W.B. 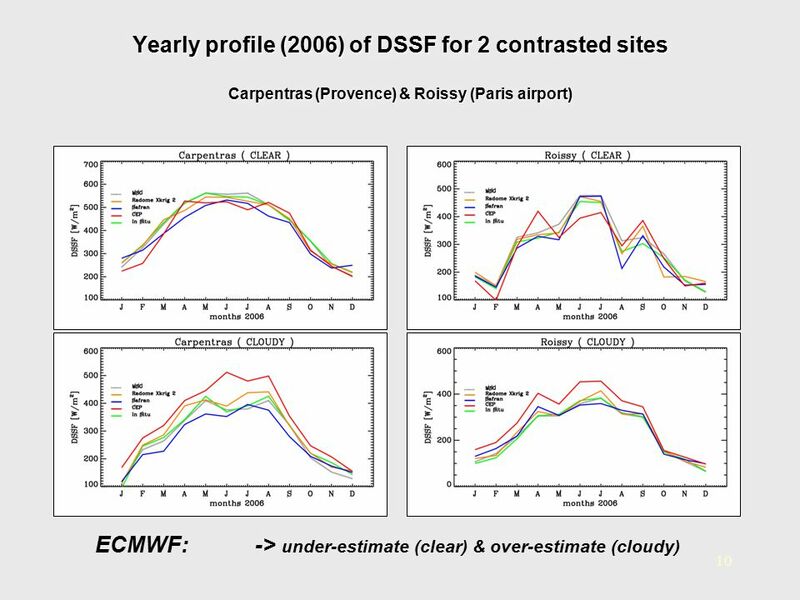 Rossow LandFlux Conference CNES/CESBIO, Toulouse, France May 28 – 31, 2007. 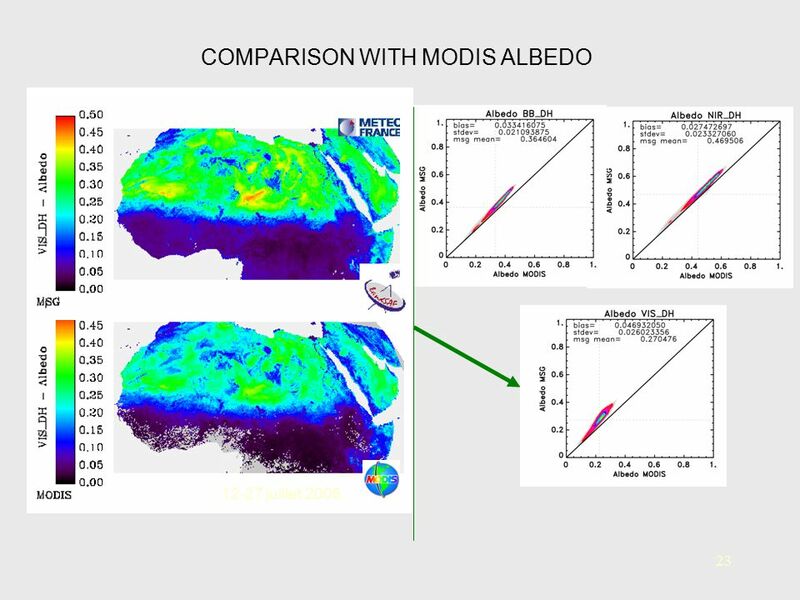 MODIS Collection 6 BRDF/Albedo: Status and Updates Zhuosen Wang 1, Crysal Schaaf 1, Miguel Román 2 1 University of Massachusetts-Boston 2 NASA Goddard. 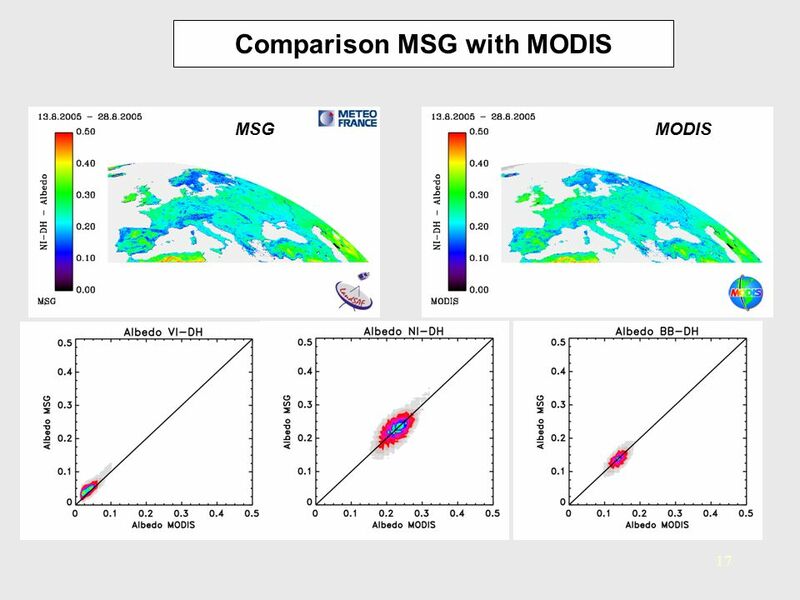 GOES-R AWG 2 nd Validation Workshop Hye-Yun Kim (IMSG), Istvan Laszlo (NOAA) and Hongqing Liu (IMSG) GOES-R AWG 2 nd Validation Workshop, Jan , 2014. 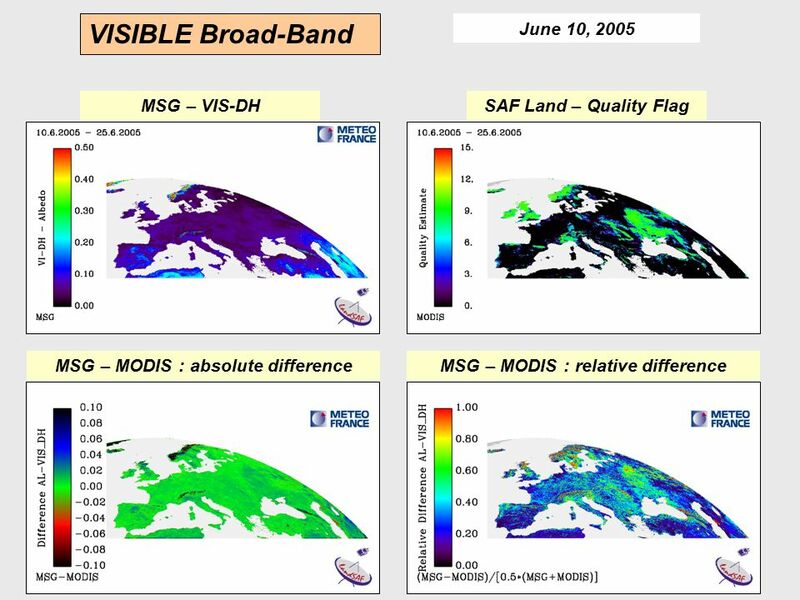 Xin Kong, Lizzie Noyes, Gary Corlett, John Remedios, Simon Good and David Llewellyn-Jones Earth Observation Science, Space Research Centre, University. 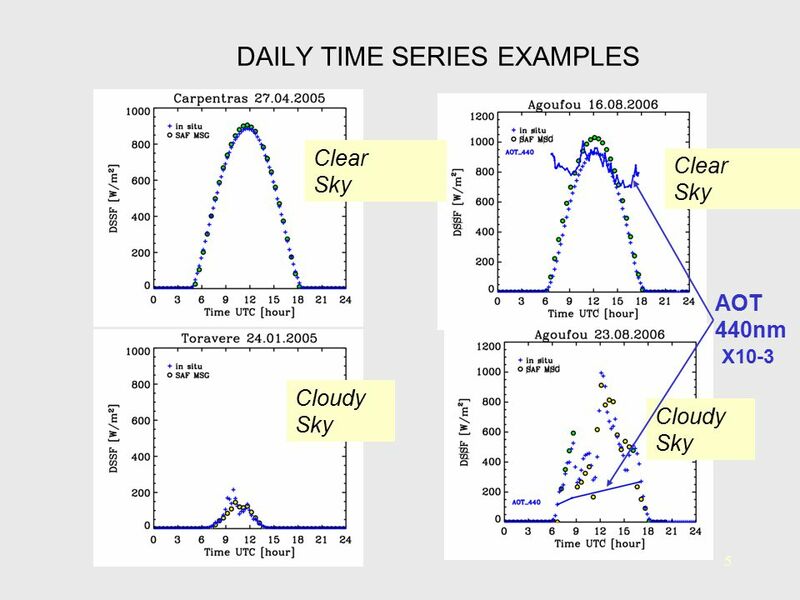 Combining satellite and surface observations to determine the radiative divergence across the atmosphere Tony Slingo Environmental Systems Science Centre. 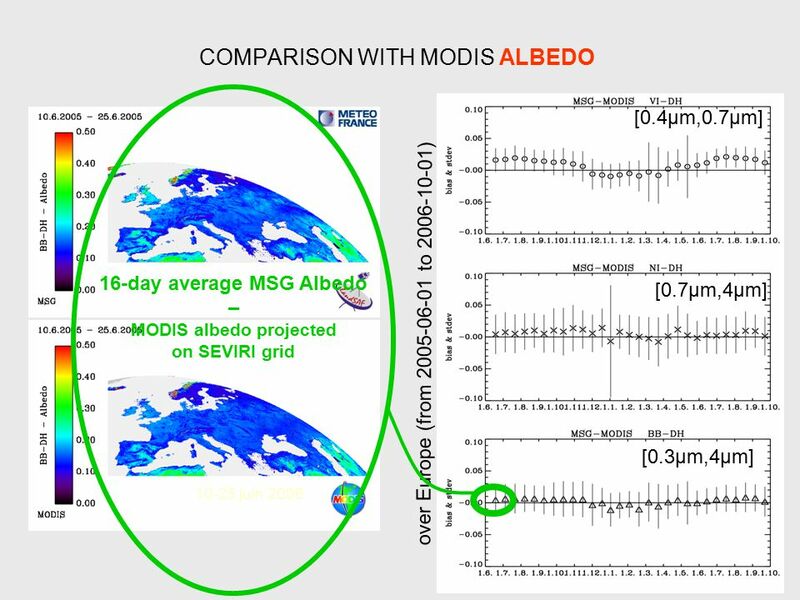 Recent Advances in Land Surface Albedo Generation from European Satellite Sensors (POLDER, MSG, VEGETATION) O. HAUTECOEUR, D. CARRER, J.-L. ROUJEAN, B. 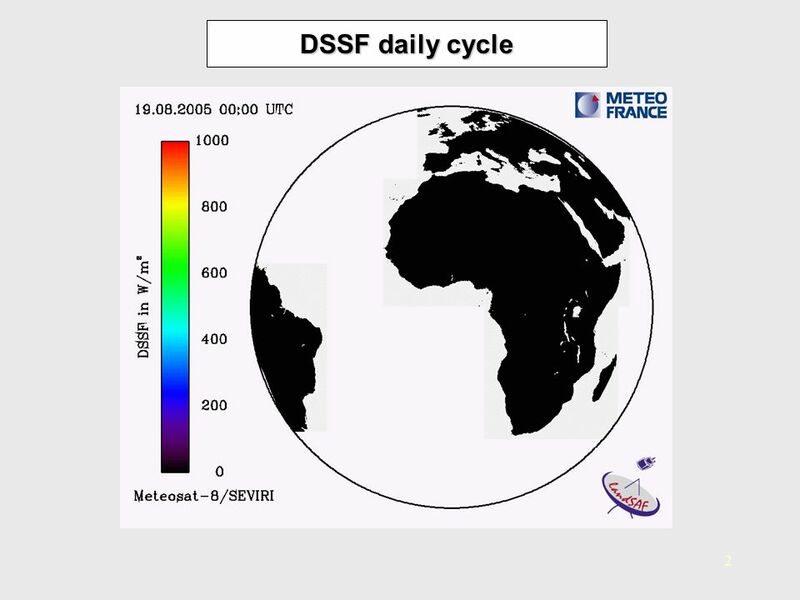 © Imperial College LondonPage 1 Quantifying the direct radiative effect of Saharan dust aerosol over north-west Africa and the tropical Atlantic Richard. 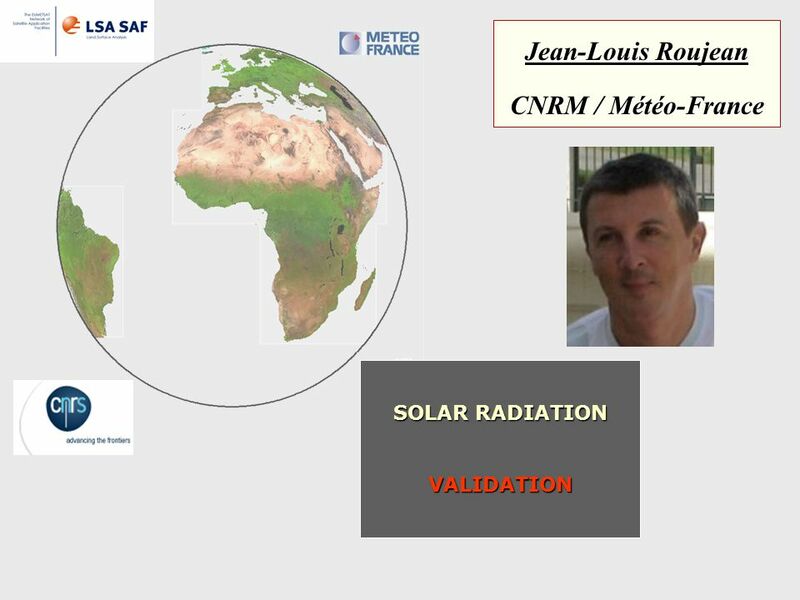 1 Validation for CRR (PGE05) NWC SAF PAR Workshop 17-19 October 2005 Madrid, Spain A. Rodríguez.